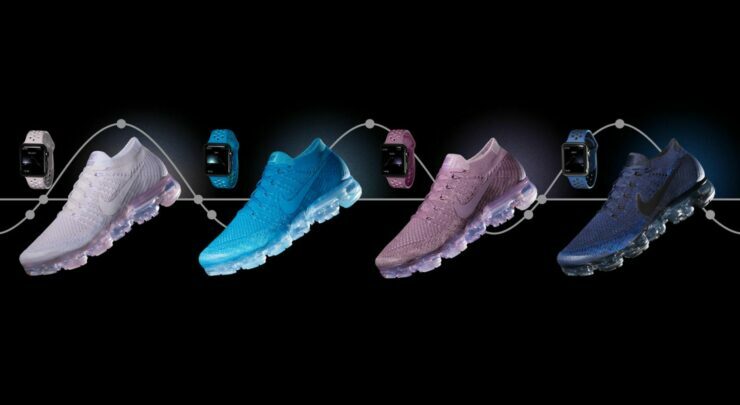 Nike has seen fit to announce four new Apple Watch bands for the Apple Watch to match its Nike Air VaporMax Flyknit shoes collection. According to the company, the new band colors have been “inspired by a shade of the sky, from dawn to dusk”. In addition to this, the company also said that this is the first time Apple Watch owners can match the color of their band with their Nike sneakers. So let’s dive in to see some more details on the subject and what new colors are available of the Nike Apple Watch bands. Called “Day to Night”, the new collection features four different colors of the sports band that includes pierced holes to air out sweat with appropriate ventilation. Despite the new color option, the Nike Apple Watch bands are made of the same flexible material called fluoroelastomer that the Cupertino giant uses in its own Sports bands. However, the new Nike Apple Watch bands do not glow in the dark. 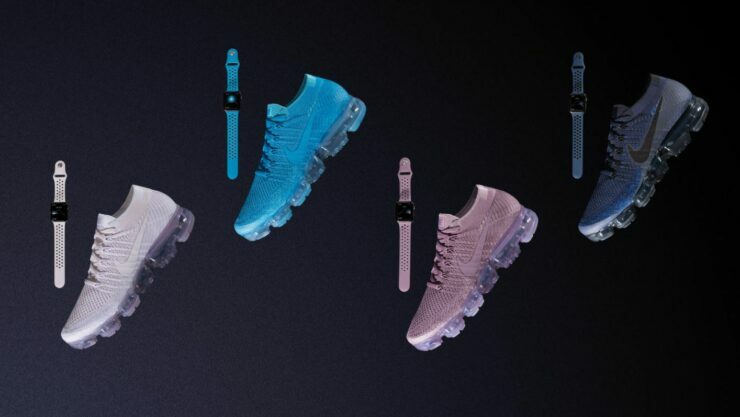 According to Nike, the color options are inspired from the various changing shades of the sky as it shifts between dusk to dawn. Nonetheless, by the look of it, the new bands are pretty attractive and feature quite an extraordinary punch. The most recent partnership between Apple and Nike was in the black and cream NikeLab band that was introduced in April, followed by the very first Apple Watch Nike+ that debuted in September of last year. If you’re interested in checking it out for yourself, be sure to know that you will be able to purchase the new Nike Apple Watch Sports bands for $49.00 each starting June 1. As for the availability, you can get your hands on the watch bands from Nike.com as well as select Nike stores. Moreover, the company also said that the bands will be available on Apple.com, Apple retail stores, authorized resellers as well as specialty department stores from early June. If you’re a fan of the Air VaporMax Flyknit shoes, they will also go on sale on June 1 and will be priced at $190.00. The new colors for the Nike Apple Watch bands are exquisite and will give the wearable a personal character. You can check out the new colors in the images provided. This is it for now, folks. What are your thoughts on the new Nike Apple Watch bands? Would you be giving them a swirl once they arrive? Share your thoughts with us in the comments.